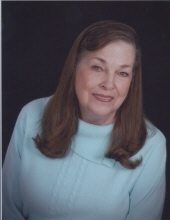 Mueller, Joyce Ann, a longtime resident of Milford, MI passed away peacefully on January 6, 2016. She was 74 years old. Joyce is survived by her beloved husband, Robert; sons, Scott (Andrea) and David (Shana); daughter, Heather Duffey; grandchildren, Kathryn, Meghan, Sarah, Joshua, Sydney and Theodore. Also survived by many loving extended family members and dear friends.